The string of islands making up Turks and Caicos includes forty individual islands and coral cays - a joining of two families of islands, as the name suggests, with Grand Turk and Providenciales the respective capitals. The beaches are beautiful, the scuba diving and deep sea fishing are excellent, and the best places to stay in the Turks and Caicos Islands tend to be the luxurious, private island retreats, or maybe one of Grand Turk's charming colonial guesthouses. The Turks and Caicos are technically a British Overseas Territory, but their currency is the American dollar and they have an American vibe. Well, they are only about 600 miles off Florida. Which carries through into the accommodation - you can find most of the big name American hotel brands here. Providenciales' famously beautiful Grace Bay is considered perfect even by Caribbean beach standards and it's long enough to house many hotels and resorts comfortably. 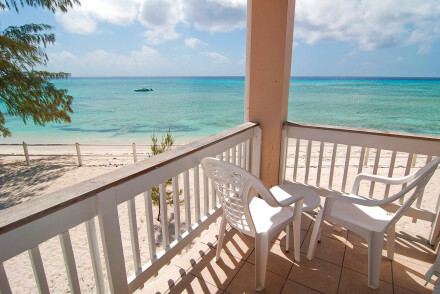 The more fertile Grand Turk island houses the traditional capital, being much easier to settle on. This is where you'll find the government buildings and most of the historic sights and most charming architecture. Aside from these two islands, there are a number of others in the forty strong group which are totally uninhabited, and even more where you'll find just a few souls. There is perfect diving and snorkelling conditions just off shore. The Hotel Guru's pick of the best places to stay in Turks and Caicos are mainly to be found on Grand Turk and Providenciales, but also features a stunning private island paradise. 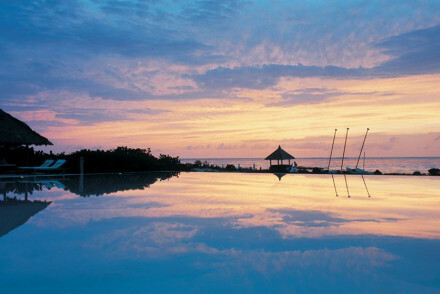 Parrot Cay is a sublime hotel on an immaculate white beach on its own private island. 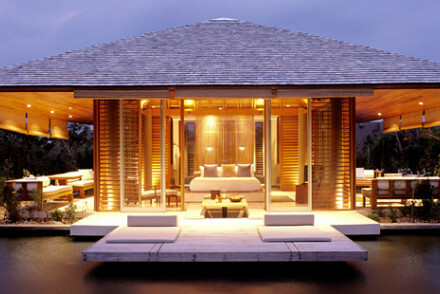 If that's not enough the rooms and villas are chic, the cuisine is international and the spa is award-winning. The Bohio Dive Resort is obviously geared up for divers, but its position, directly against a pristine, white, sandy beach, means that it's also a great choice for a relaxing beach break. Rooms are whitewashed chic, with private balconies. The Bohio Dive Resort also has its own dive school. 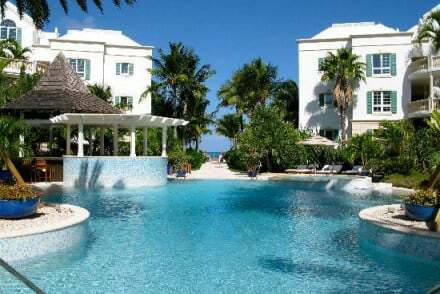 The Grace Bay Club is a large, but extremely luxurious resort made up of suites and private beach cabanas, right on Grace Bay. 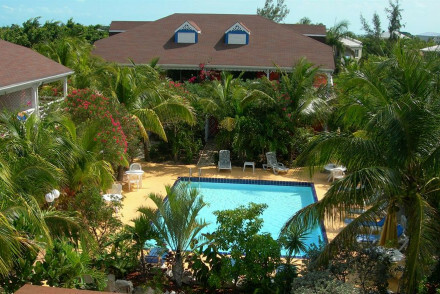 Caribbean Paradise Inn as the name might suggest aims to capture the essence of Caribbean lifestyle. Just off the beach it boasts comfortable rooms and excellent local cuisine. The ideal beach holiday launchpad. 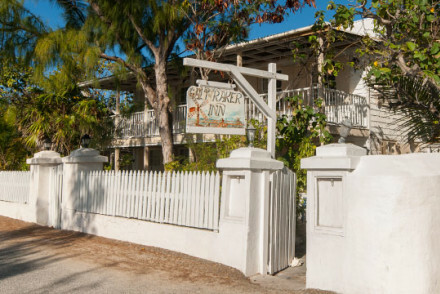 The Sibonne Beach Hotel is one of the best value hotels on Grace Bay, a small, but lovely, white building with a choice of rooms, suites and apartments - sleeping up to four. 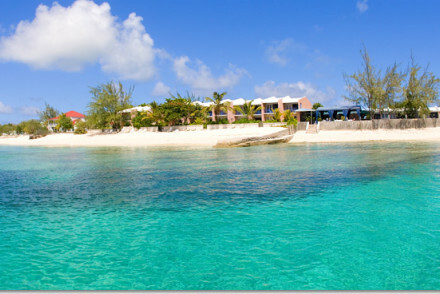 The Osprey Beach Hotel on Grand Turk is chic but reasonably priced, with its 37 rooms starting from just £56 per night. Many rooms have private balconies and four poster beds. Just a short stroll through the hotel's garden and you're on the beach. The Salt Raker Inn is a great value little inn in the heart of old Cockburn Town. Well placed for the beach and local dive centres, this is a laid-back but pretty spot with a lovely little verandah restaurant. Providenciales' Point Grace is a dreamy, romantic spot, with stunning rooms and suites, and even more perfect views from the private balconies. There are just 28 rooms, two fabulous restaurants, a Thalasso spa, a huge pool and direct access to the beach. Amanyara is a spectacular resort which really makes the most of its naturally idyllic beach surroundings with minimalist decor and a focus on large windows and private balconies. It also has the very best when it comes to chefs, bars, massages, butlers, spa facilities and pools. On a beautiful sandy beach, Gansevoort's prime objective is to provide luxury. Boasting lavish suites, a deluxe spa, a superb restaurant and private beach access, it's a standout hotel. Perfect for an indulgent break on the Turks and Caicos. Providinciales is the international airport gateway to the Turks and Caicos. From there you can connect to any one of the seven island airports. Hurricane season in the Turks and Caicos generally runs from July to September, so it is best to avoid visiting during these months. The islands have a year round temperature in the late 20s, so we would recommend a winter trip from November to April. 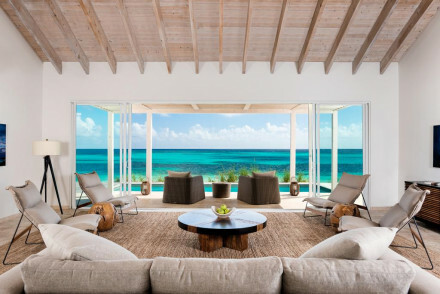 Browse through our list of all the best places to stay on the Turks and Caicos Islands. An excellent value inn in the heart of the old town and just a few moments from the beach and diving centres. Lovely rooms and suites, simply decorated, but chic in style with white washed walls and balconies onto the garden. Lovely little restaurant with verandah. Excellent value and laid back. 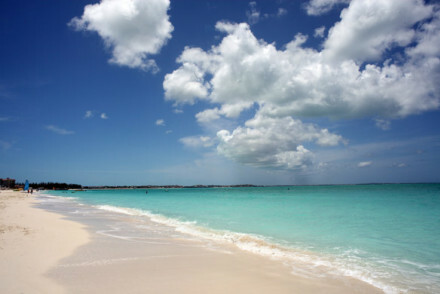 Excellent value and set on one of the best beaches, Grace Bay Beach. A lovely white building with a selection of rooms, suites, and an apartment (sleeps 4). Boutique chic interiors include four poster beds, balconies and sea views. Caribbean restaurant, dive packages, and endless white sand. Views - Spectacular white sands and azure waters to peer onto from all parts of the hotel. 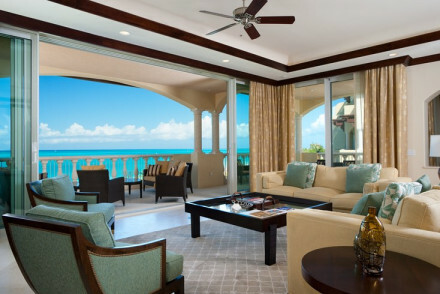 Value chic - A variety of rooms offer excellent value for the Caribbean. Beach Life - Direct access to one of the best beaches around. Scuba course - The hotel offers dive packages. One of the chicest spots in Grand Turk. Rooms and suites are beautiful with private balconies, four poster beds, and creamy furnishings. Access to the beach through the garden, walking distance to all the attractions, and good value too. Scuba course - Blue Water Divers, a PADI 5 Star dive facility, is located on the hotel property. A charming little hotel near one of the nicest beaches. Comfortable rooms, simply furnished with all the mod cons, private balconies and views over the courtyard pool area. Excellent Caribbean cuisine from the open-air restaurant. Family friendly, excellent value and well located. A fantastic dive resort directly on a pristine white sand beach. 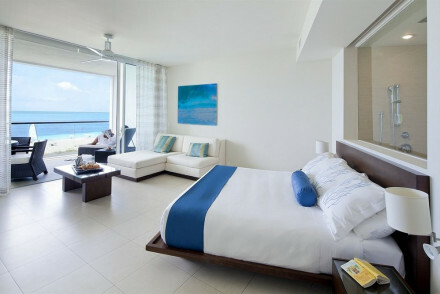 Fun beach chic rooms all in white with private balconies, sea views, and all the mod cons. Excellent international restaurant and the rest is all about the diving and the beach. Ideal for an action packed diving holiday. Beach Life - Situated directly on the beach and set up for making the most of the water. Active Holiday - A wealth of diving, snorkelling, boating and excursions to different bays. Scuba course - The hotel has its own dive school. A dreamy spot ideal for honeymooners and romantic beach breaks. A beautiful white building with stunning rooms and suites. Each has a private balcony and all the mod cons including DVD players. Two fabulous restaurants, Thalasso spa, huge pool, and direct access to the beach. Honeymoons - Dreamy suites and excellent facilities. Spa breaks - Fantastic Thalasso Spa. A secluded and indulgent resort on a picture perfect Caribbean island. The elegant and timeless interiors are simple enough to allow the views to take centre stage. With great food, an excellent spa, turquoise waters and white sand as far as the eye can see. Utter bliss! A sublime hotel on an immaculate white beach on its own private island. Superbly chic rooms, suites, and private villas with romantic four poster beds, private balconies, private pools, and views on the beach. Award-winning spa, international cuisine, and azure seas. Perfect for a honeymoon. Beach Life - Completely unspoilt beach for miles. Honeymoons - The ultimate honeymoon spot. Spa breaks - An award-winning spa. A large top of the range luxury hotel set back from the beach. Contemporary chic rooms, suites, and penthouses, some with kitchens, have all the mod cons, lots of natural light, and slick furnishings. Excellent spa, restaurant, enormous pool, and direct beach access. Swanky, family friendly, beachy. Luxury - Lavish suites and penthouses have all the mod cons and luxurious furnishings. Extremely luxurious suites or private beach cabanas within a hotel complex, set on an award-winning beach. Sumptuous rooms have their own kitchens, living areas, and patios and are contemporary chic in style. A romantic al fresco restaurant, top of the range spa, and family facilities. Luxury - The first luxury resort on the island. Beach Life - Set on an award-winning beach. A spectacular resort that makes the most of its natural beach surroundings. Minimalist chic suites and private villas set amongst palms, all with private balconies, and the best with chefs, butlers and infinity pools. Restaurants, pools, bars massages, yoga and a spa pavilion. Utterly dreamy. Private villas - Three, four and five-bedroom villas come with their own private chefs and butlers.